155 Northwood Circle Rome, NY. 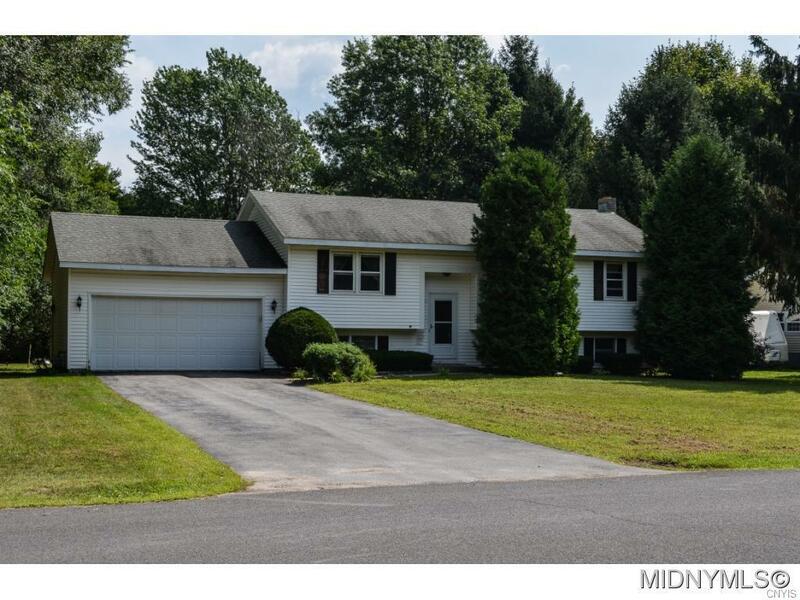 | MLS# 1803658 | Benn Realty LLC -Since 1968, and now with offices in Old Forge and Remsen to serve you better. A rare find in the coveted Town of Lee Parkside Estates! This split level has 3 bedrooms and 1 1/2 bath on the first level, and a bedroom and full bath on the lower level. It has been recently repainted, with new flooring, new furnace, new hot water heater, and with new duct work all ready for central air. Full basement has a large open are for a family room, game room. home theater, etc. The possibilities are endless! Attached 2 stall garage accessible from both floors for easy access! Nearest Cross Street: Hawkins Corners Rd.